A written statement by James Clapper, the Director of National Intelligence, disclosed that U.S. intelligence analysts "judge that some elements of Syria’s biological warfare programme might have advanced beyond the research and development stage and might be capable of limited agent production." Reporting on Clapper's disclosure, The Telegraph noted that Syria's program is sufficiently advanced that Syrian scientists may be able to create biological weapons even out of existing viruses, including out of strains of small pox. Meanwhile the Times of Israel conveyed assessments from Jane's Defence Weekly describing Syria's success in reconstituting its missile and rocket program, after Iran, North Korea, and Belarus provided assistance in circumventing international restrictions. The Jane's report indicates that theBashar al-Assad regime has boosted production to address both its own and Hezbollah's need for projectiles. Regarding chemical weapons, the Organisation for the Prohibition of Chemical Weapons revealed today that less than five percent of Assad's chemical arsenal has been removed from Syria. Obama has been careful not to make any more statements about "red lines" and there has been no uproar about these latest developments. No doubt instead the emphasis will be on dealing with the issue "diplomatically" -- starting of course with the Obama administration asking Russia to step in. No doubt Assad is quaking in his boots at the prospect. of his chemical weapons with impunity? Making the issue will even be raised at the latest talks with Syria. There is no reason to hope that the West has any better idea about what to do about Syria's refusal to get rid of their chemical weapons. 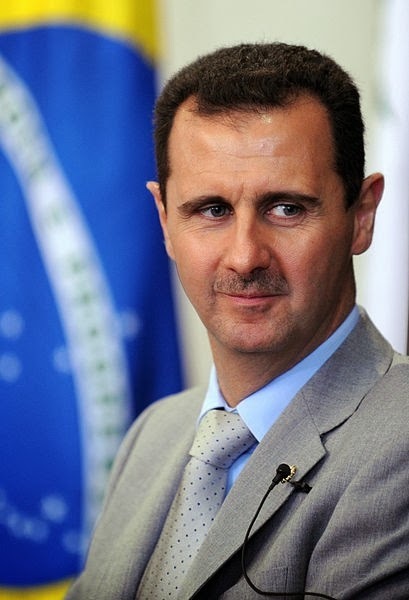 Technorati Tag: Syria and Assad and Chemical Weapons.